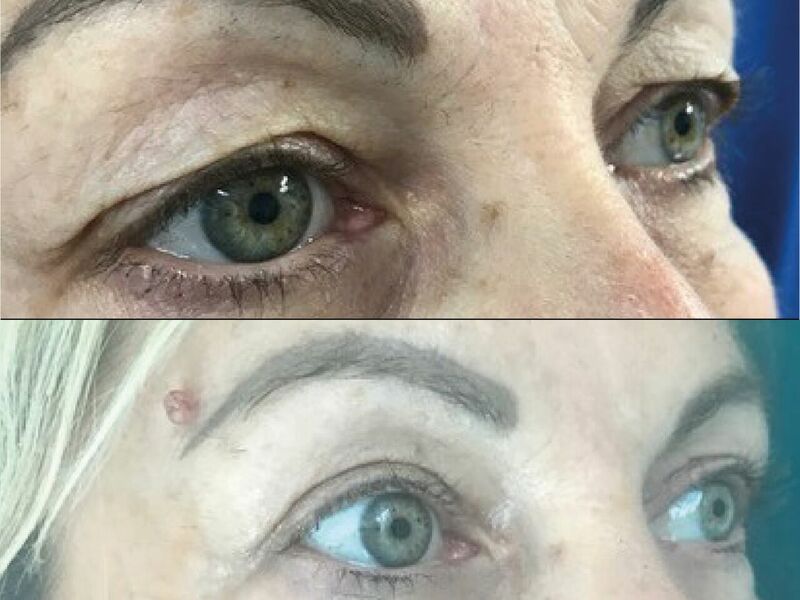 48-year-old patient wishing to improve her gaze with upper eyelid surgery. The procedure is performed under local anesthesia. Duration of the intervention is 45 minutes, outpatient. Post-operative results after 6 months with invisible scar.